(June 23, 2017) – On Tuesday, June 20th, the Senate voted to confirm the nomination of Brock Long to be the Administrator of the Federal Emergency Management Agency (FEMA). Mr. Long has more than 16 years of emergency management experience, including as the Director of the Alabama Emergency Management Agency from 2008 -2011. FEMA’s mission is to coordinate the federal government’s disaster response, preparedness and mitigation efforts. The agency oversees the United States Fire Administration and a number of first responder grant programs, including the Assistance to Firefighters and Staffing for Adequate Fire and Emergency Response grant programs. The Senate Homeland Security and Governmental Affairs Committee approved Mr. Long’s nomination by voice vote on June 12th. The full Senate approved his appointment by a vote of 95-4. (June 9, 2017) – On Wednesday, June 7th, the BuildStrong Coalition hosted the National Thoughts Leaders Forum on Disaster Mitigation Resiliency for a Stronger and Safer America. The forum, featuring members of Congress, fire service leaders, code and standard organizations, and representatives of the construction and insurance industries, examined the impact strong building codes can have in saving lives and taxpayer dollars and explored incentives for strengthening buildings and mitigating damage from natural disasters. Congressman Lou Barletta (PA-11), Congressman Lloyd Smucker (PA-16), and Senator Ron Johnson (WI) addressed the forum. The members of Congress largely focused their comments on the need to reform the Federal Emergency Management Agency’s (FEMA) disaster assistance programs to better protect the public while simultaneously safeguarding taxpayer dollars. The Forum also featured a Stakeholder Roundtable, which included subject matter experts from a variety of fields, including the fire and emergency services. Members of the roundtable emphasized the need for federal incentives to encourage state and local governments to adopt model building codes. 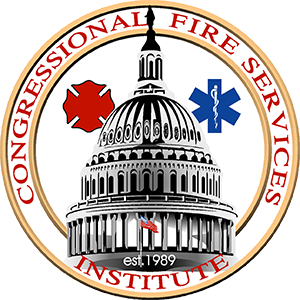 Bill Webb, Executive Director of the Congressional Fire Services Institute, participated in the roundtable discussion. CFSI has been a member of the BuildStrong Coalition since 2011 and continues to advocate for the adoption of strong building codes at the federal, state and local levels.